ATLANTA – The Atlanta Dream have signed forward Lynetta Kizer to a training camp contract, the team announced Monday. Kizer is currently playing overseas with Tiffany Hayes on CCC Polkowice in Poland. She is averaging 10.0 points and 5.1 rebounds in just 18.6 minutes per game in Polish League play. In nine Euroleague contests, Kizer has averages of 7.8 points and 5.6 rebounds. Originally a third-round selection by the Tulsa Shock in the 2012 WNBA Draft out of Maryland, the 6-4 Kizer played for the Minnesota Lynx during the 2018 WNBA season. 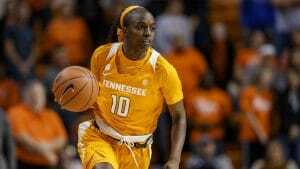 She has career averages of 5.8 points and 2.8 rebounds in 180 games during her seven-year career. 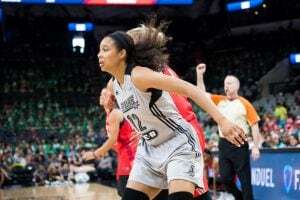 She has played on four teams that reached the WNBA Playoffs, including the 2015 Indiana Fever, who won the Eastern Conference. A highly decorated player at Maryland, Kizer was named the ACC Sixth Player of the Year in 2012 and the ACC Rookie of the Year in 2009. She finished her college career with 1,621 points and 958 rebounds. Kizer averaged double-figure points in all four years as a Terrapin. The Dream have all its core pieces returning from its franchise-best 23-win season, including multi-year contracts with guard Hayes and center Elizabeth Williams.